The M.R.V.R. 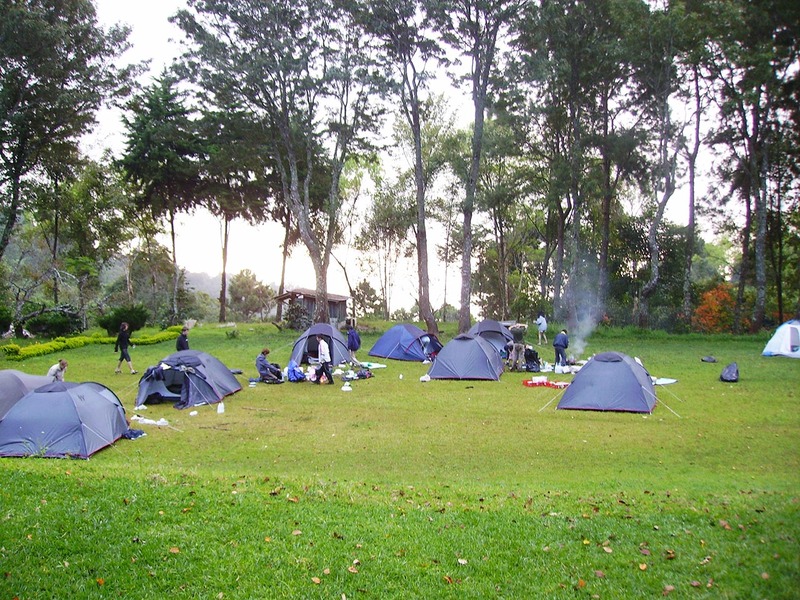 offers a range of activities, on site or in the vicinity of the centre. This is a huge advantage for limiting the amount of travel time and thus maximising activity time. 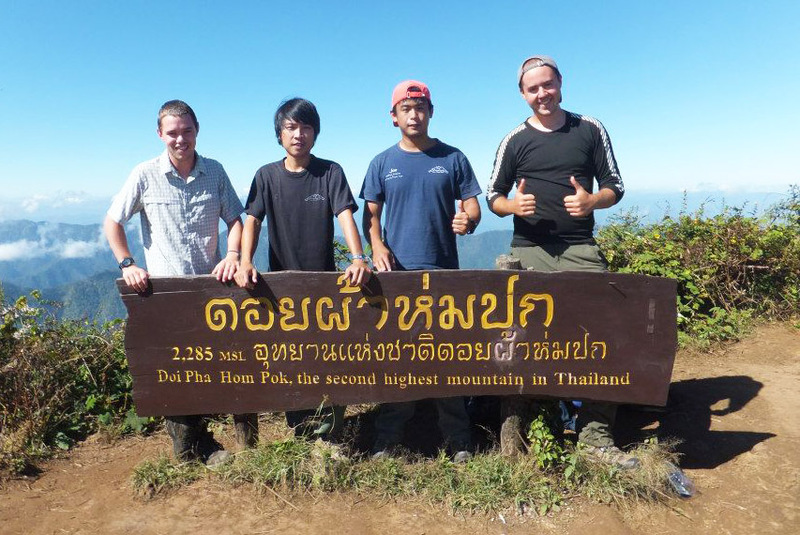 The furthest activity (hiking in Doi Pha Hom National Park) is still only a 30-minute drive. 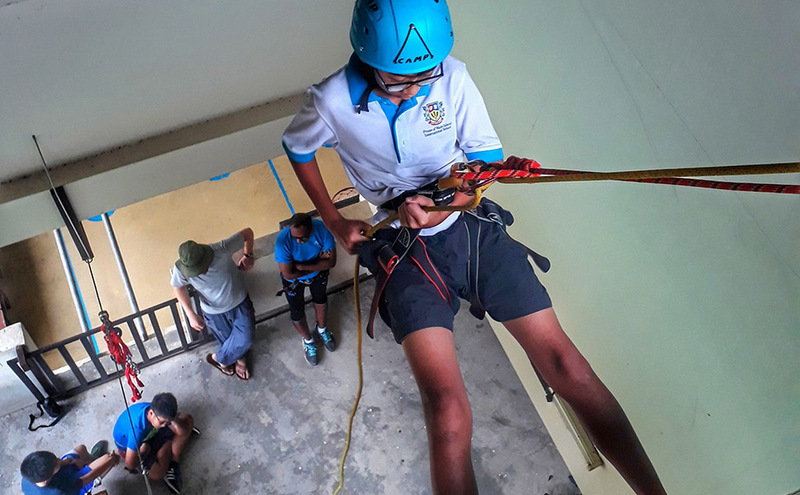 A 6 metre indoor abseiling wall, great for wet days, is ideal for learning about abseiling and can be combined with the high ropes experience. 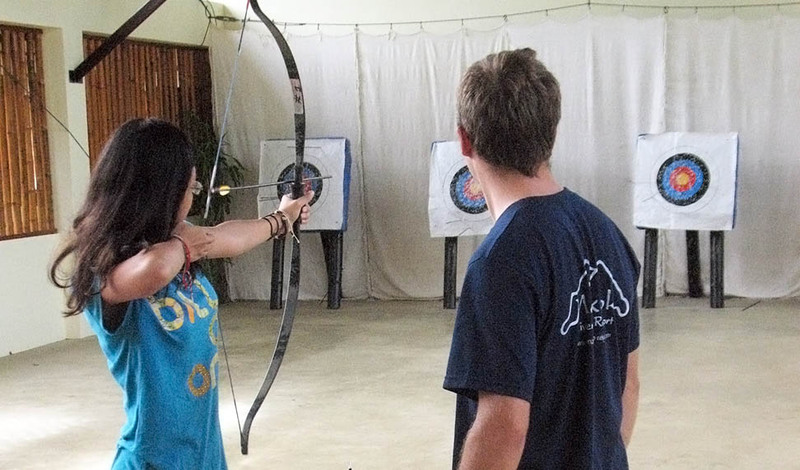 We have a 10 metre archery range in which students will learn the basic principles of this sport through a range of different exercises and ‘fun’ games. This takes place in an area of woodland adjacent to the centre. 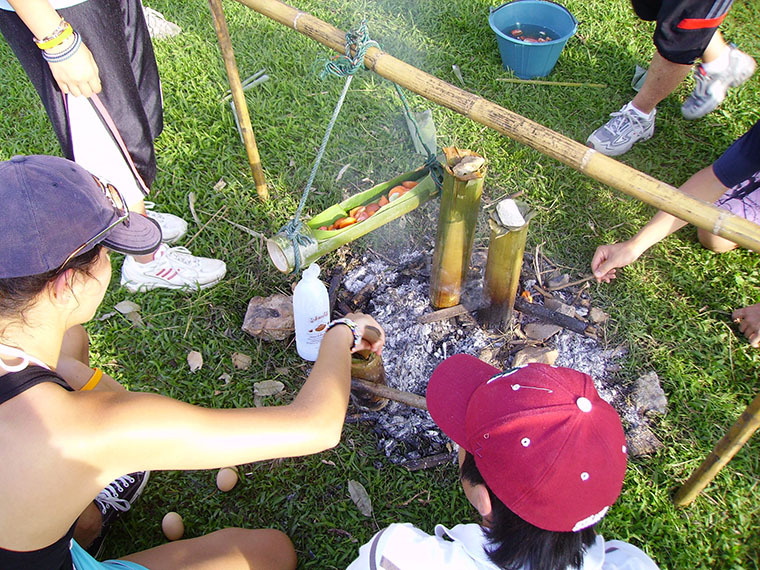 Here students learn how to make a fire using flint and steel, cook a meal over the open fire using just green bamboo, make appropriate utensils and pots and to build a shelter from bamboo and straw. 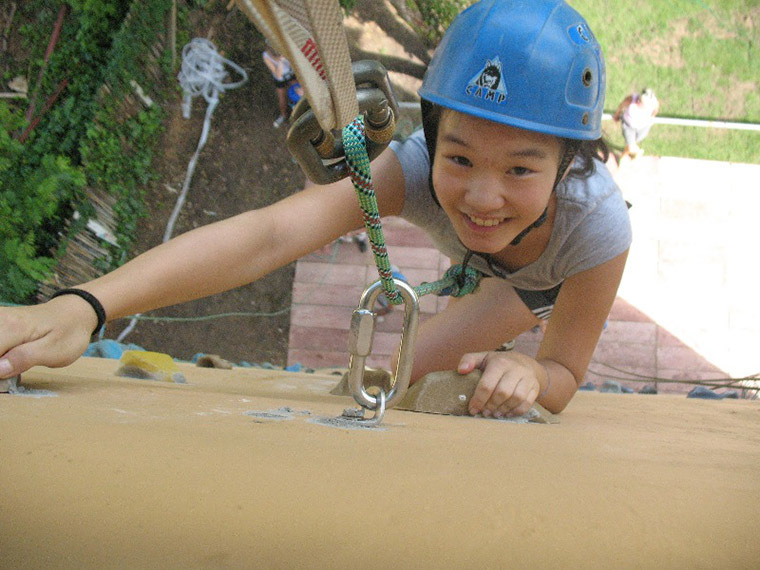 The 10 metre the climbing wall has 6 routes of varying difficulty. 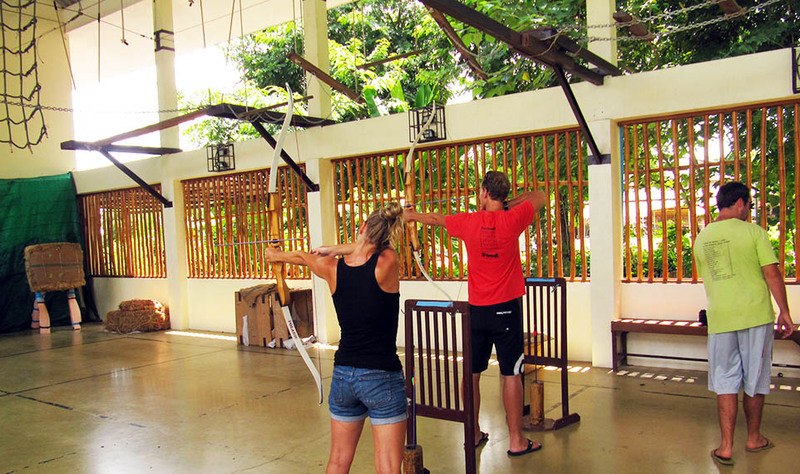 An adjacent bouldering wall adds to the activity as well as providing a good warm up. 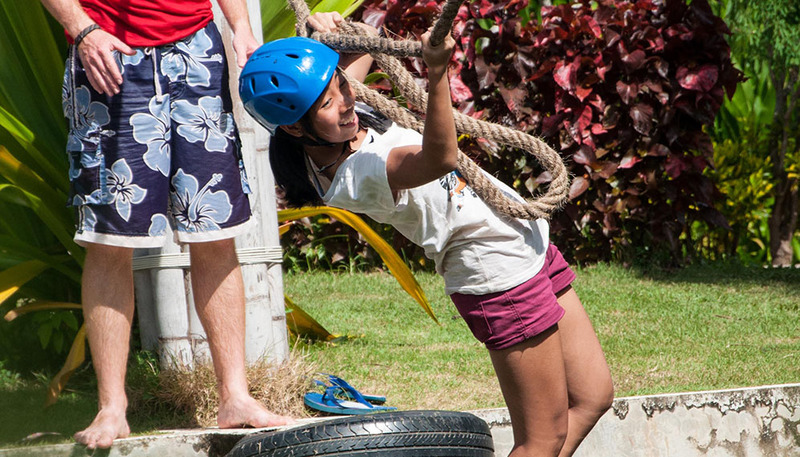 Using a chain walk, narrow beam, swinging ropes and monkey bars or rings, students attempt to cross the pond of murky water! 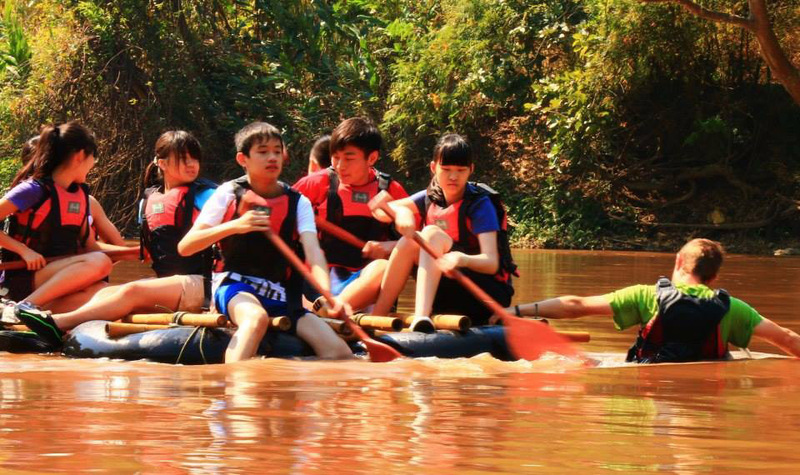 We feel that just taking part, no matter how far the student gets, is a success. 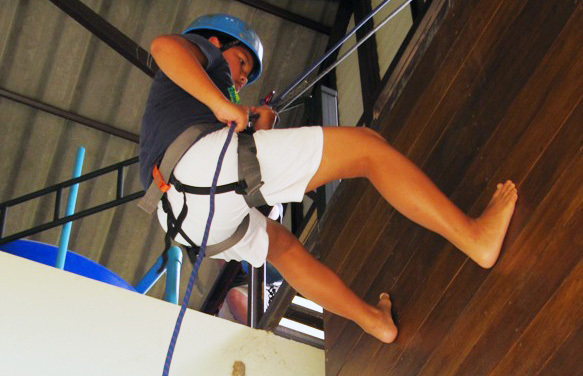 The indoor ropes course comprises 9 elements of varying difficulties and provide a great challenge for all – but with some restrictions on the height and weight of participants. A half day of team and leadership challenges involves students taking part in a series of exercises to test skills of teamwork, co-operation and leadership and is also great for ice-breaking and a getting to know each other activity. 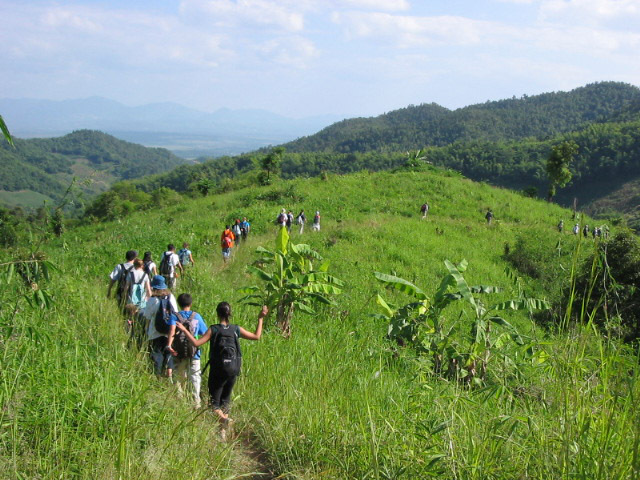 Expeditions of various lengths and challenge are offered. These range from a half day kayak, overnight camp followed by a bike trip back to the centre, through to a full 2/3/4 day Duke of Edinburgh / I.A. for Bronze, Silver and Gold Awards. 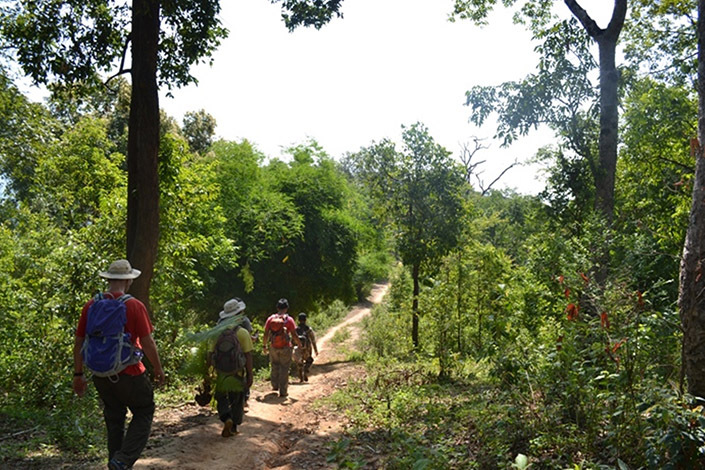 We offer a range of hikes from a gentle walk through the local hills and hill tribe villages, which take just a few hours, through to a full-day challenging 12 km hike through Doi Pha Hom Phok National Park. 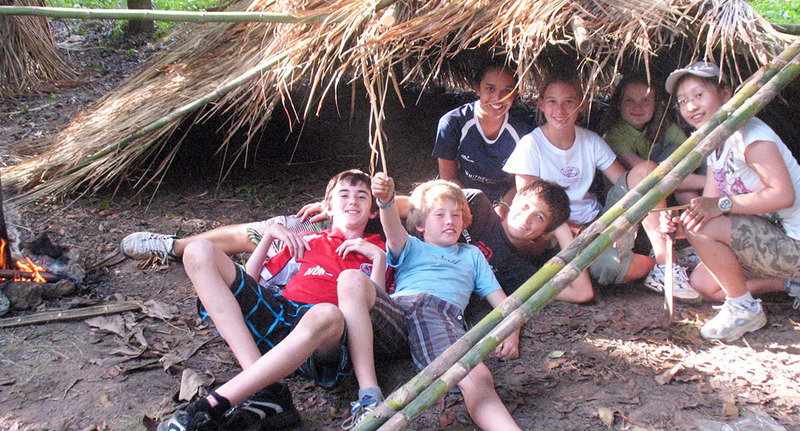 This takes students through the caves and tropical forest, up a gorge, past waterfalls, ending up at a lovely river and some natural hot springs – for a cooling dip or a warm sauna! 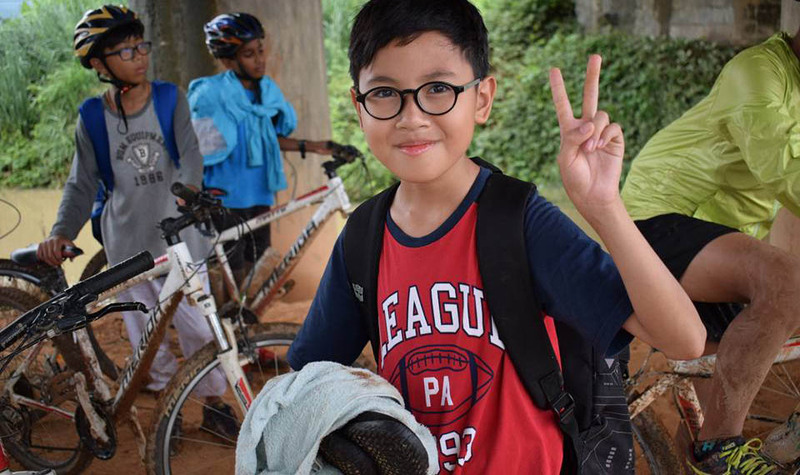 Particularly with junior groups, we combine the hike with a ‘field study’ which we call a ‘Look and Learn Hike’, completing a worksheet during the walk. 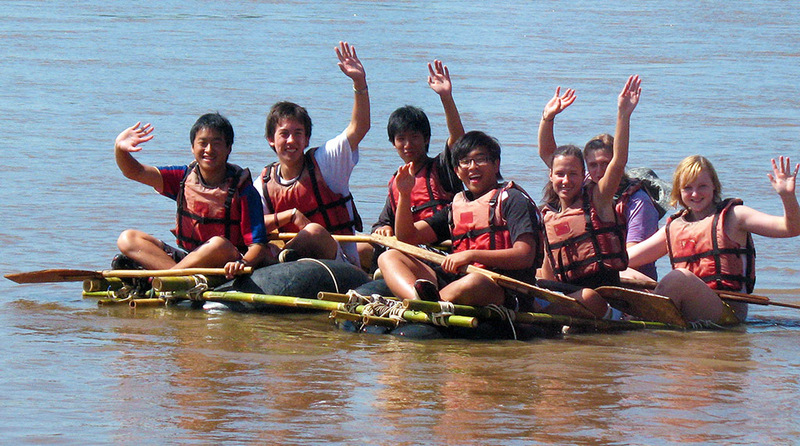 Time is first spent on the large resort pond, learning paddling techniques, capsize and other safety drills. 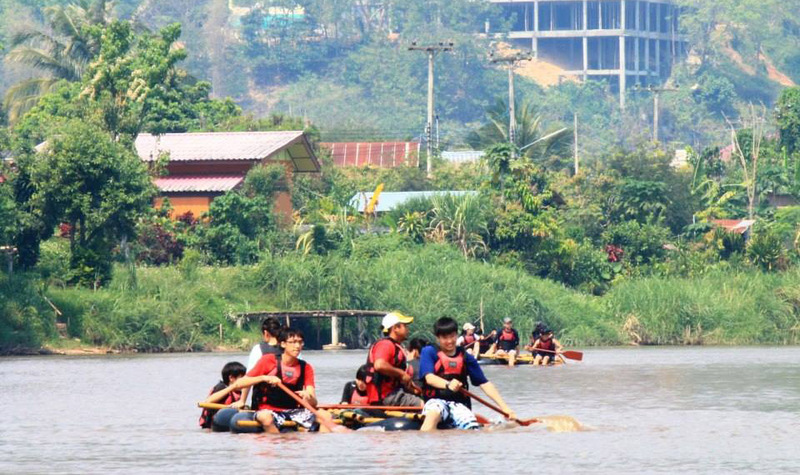 After this session, students paddle the kayaks from the border with Myanmar, down the Maekok River. 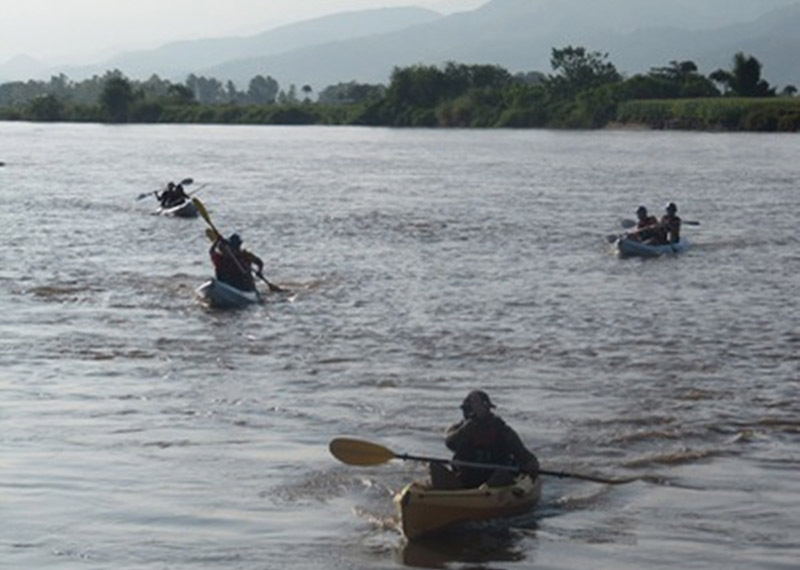 We offer half, one or two day kayak trips and can also make this activity part of the Duke of Edinburgh / I.A. 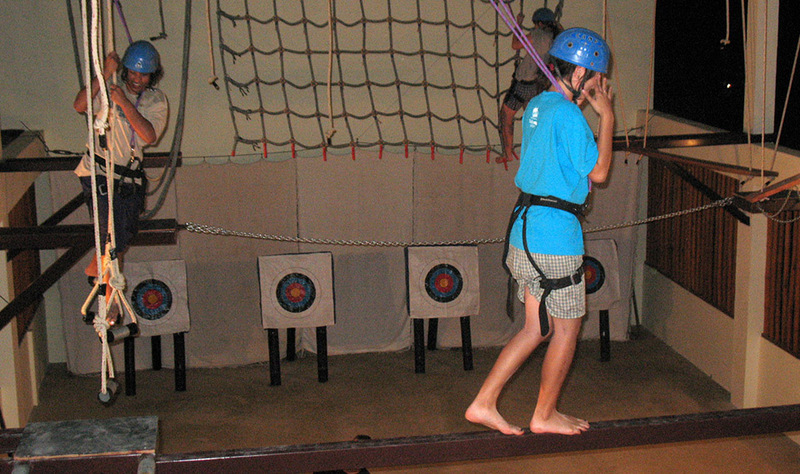 ‘Adventurous Journey’ at Bronze, Silver and Gold level. 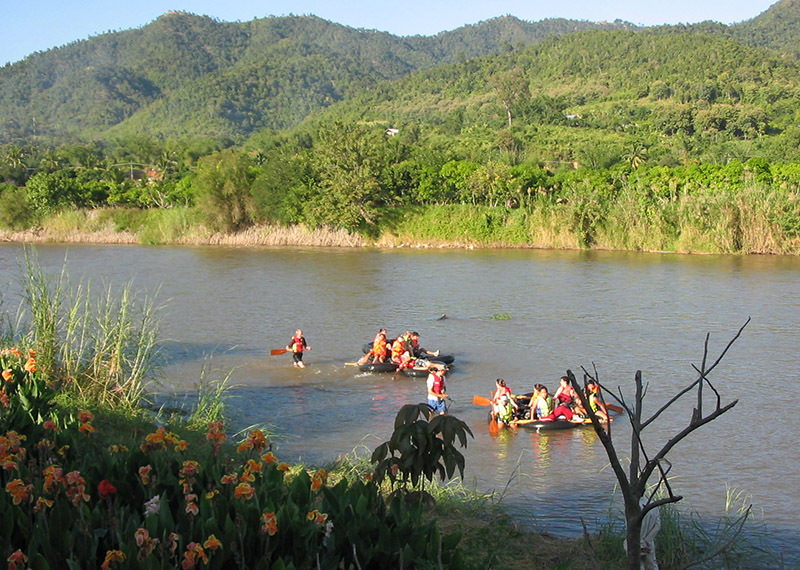 On the banks of the Mae Kok River, small groups design rafts which they have to make using inner tubes, bamboo and rope and then paddle these downstream. This is very much a team effort and a great challenge. 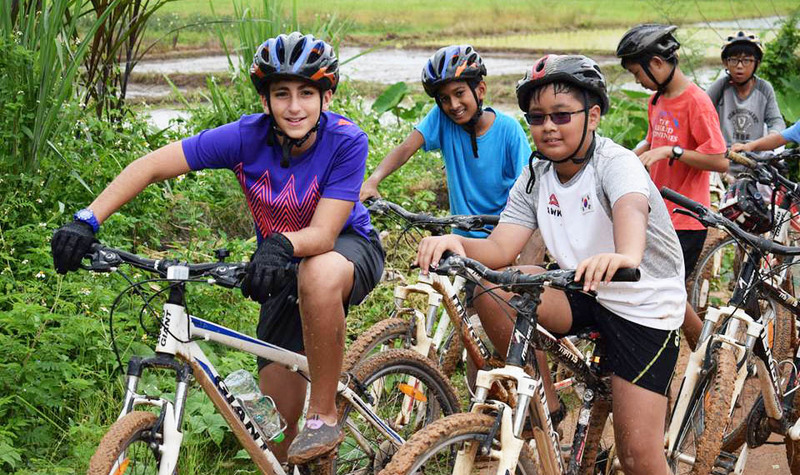 After time spent instructing (and instructors assessing levels of competence), students embark on a 10 to 25 km ride through the valley on quiet lanes and farm tracks. 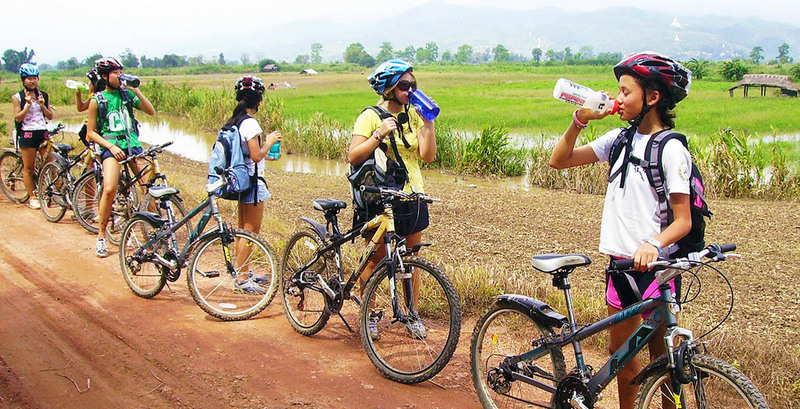 This also provides the opportunity to observe rural life and various activities.